Do you want to operate from short or rough fields with confidence? 02 The PUMA ...And iPhone & iPad friendly too! 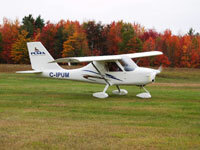 Are you looking for an airplane that allows real cross-country flights in comfort? 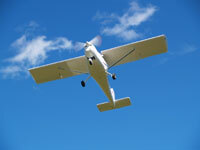 Do you want to operate from short fields with confidence? The PUMA will fulfill your expectations! The Puma Aircraft is two seat tricycle tractor high wing monoplane produced in Canada, is made in composite and aluminum material. Attention to detail and flowing body lines give this airplane an excellent performance in its category. Safe, easy and pleasant to fly, a real trainer, simple to maintain and to build, high quality at competitive cost: these qualities make the PUMA a great aircraft. Recognized for being ideal for recreational flying as well as flight training, the PUMA is designed with three very important factors in mind: safety, comfort, and performance. The Puma has a comfortable cabin, 1.12m (44in) wide, with a high overhead clearance while sitting, and plenty of legroom, with pockets in the center console as well as in the back of the seats. 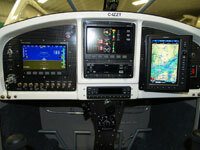 The ergonomic dashboard houses the avionics, which are easy to reach and read. There is high visibility due to the large sky view windshield and doors windows. 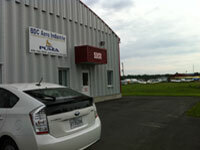 BDC Aero Industrie making your dreams become reality!